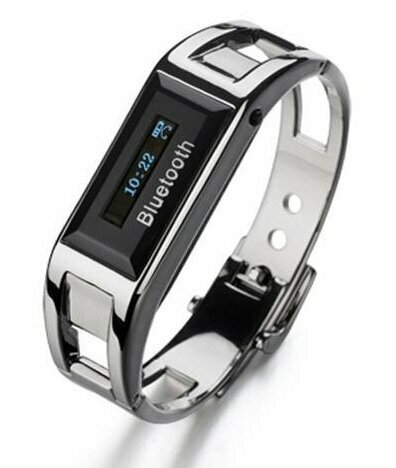 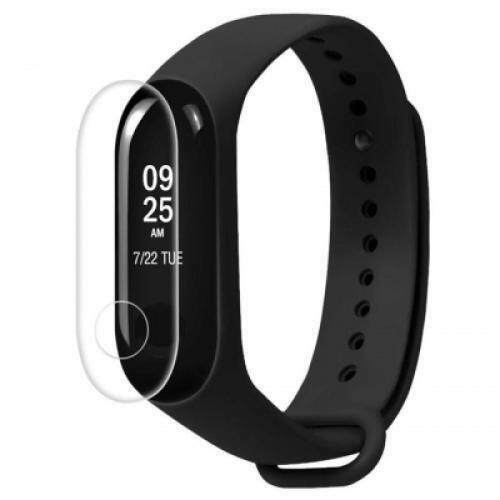 Description: Bluetooth function: Bluetooth bracelet with OLED caller's ID display The bluetooth bracelet can be applicable for every brand bluetooth mobile phone. 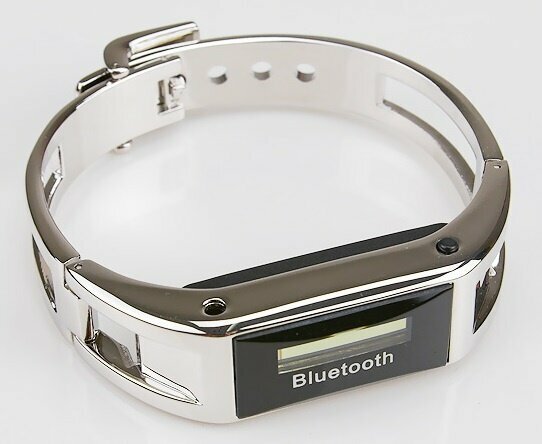 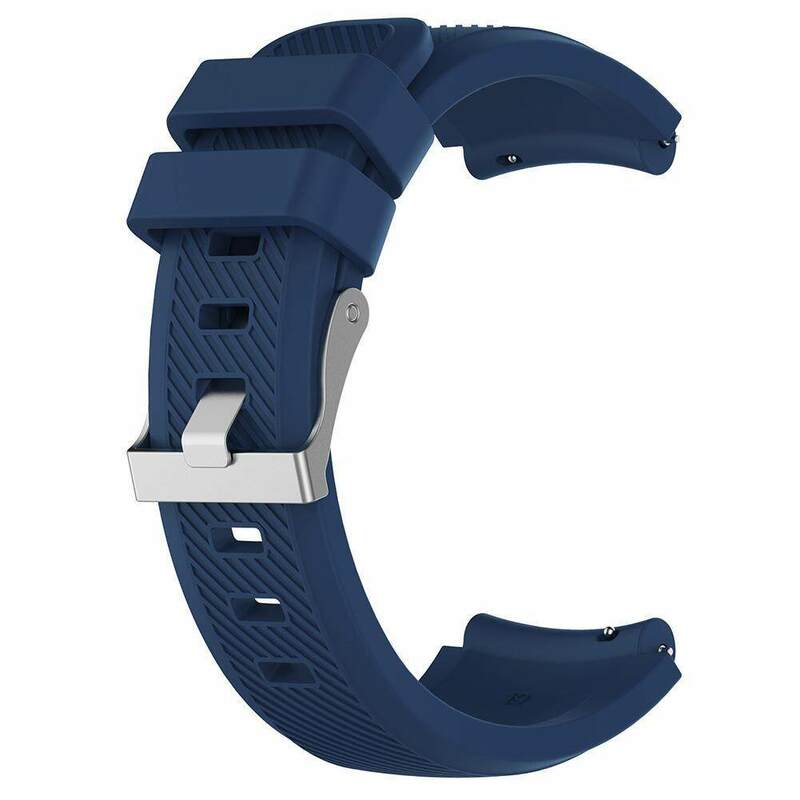 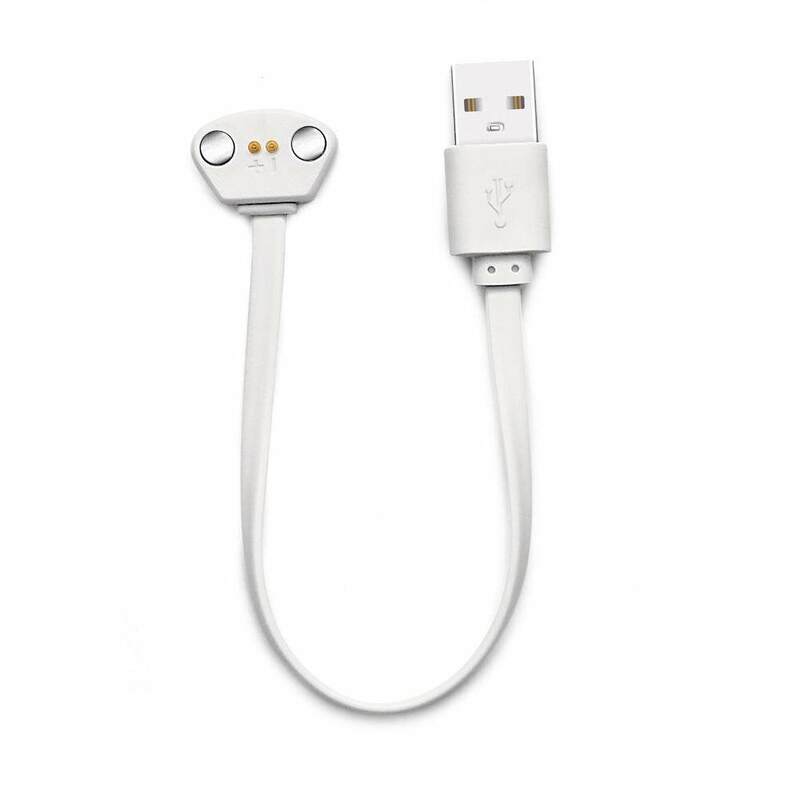 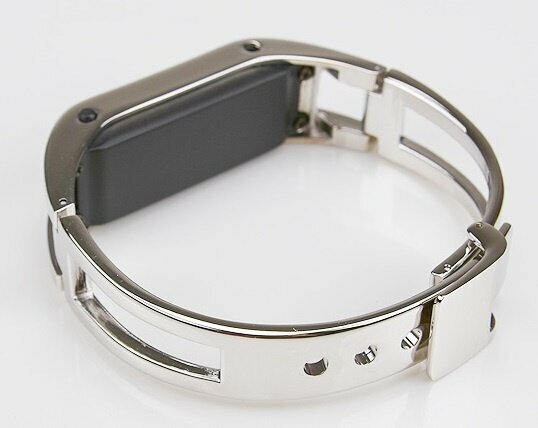 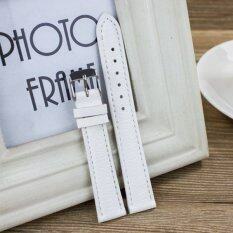 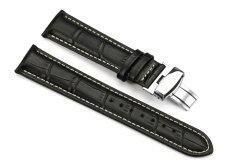 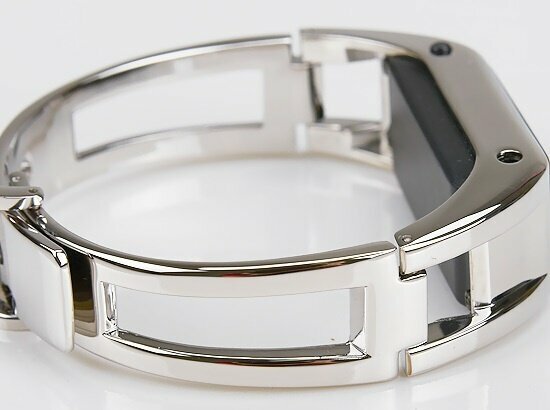 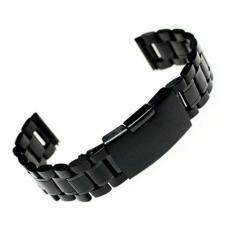 When not in use it can perform as a bracelet with special design After pair with the mobile phone, the bracelet will remind you by vibrate and show caller's ID while receiving a call.connecting display Rechargeable battery, with 100 hours standby time. 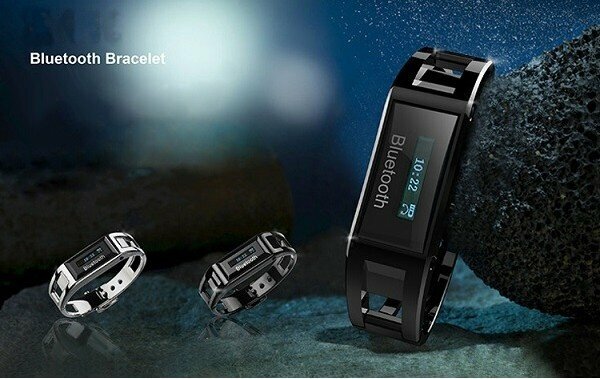 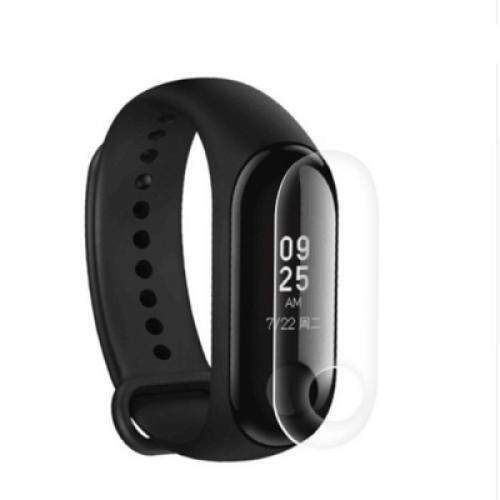 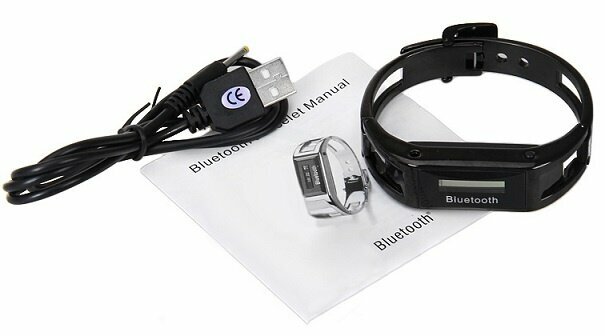 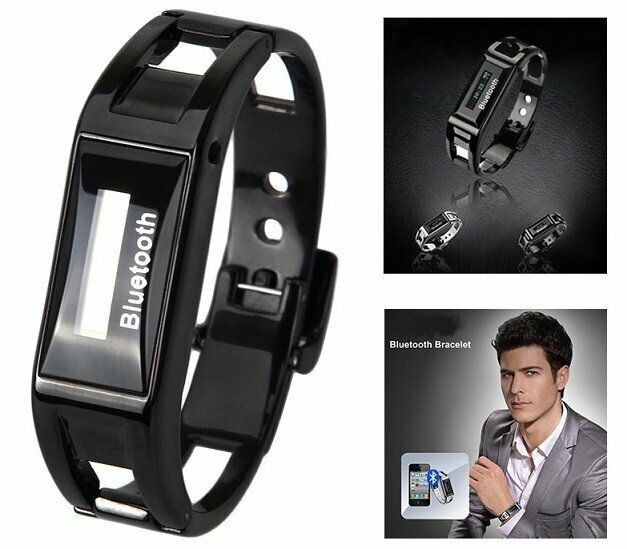 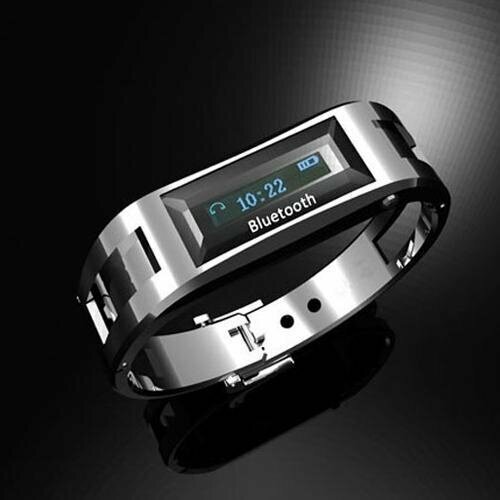 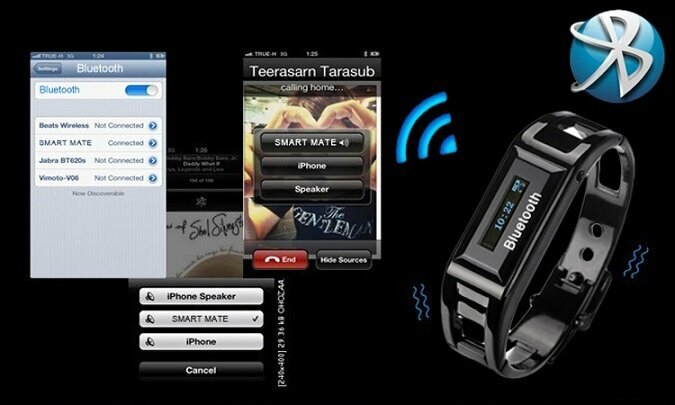 Compatible bluetooth 2.0 standard Class 2 stardard10 meters Accessories: Bluetooth Bracelet, Charger, Connecting Cable. 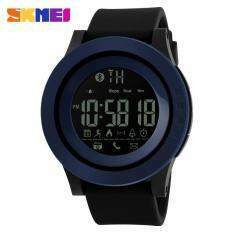 2 LCD Clock Function: with LCD clock.24H display,AC charge display,battery display,pairing mobile phone model No. 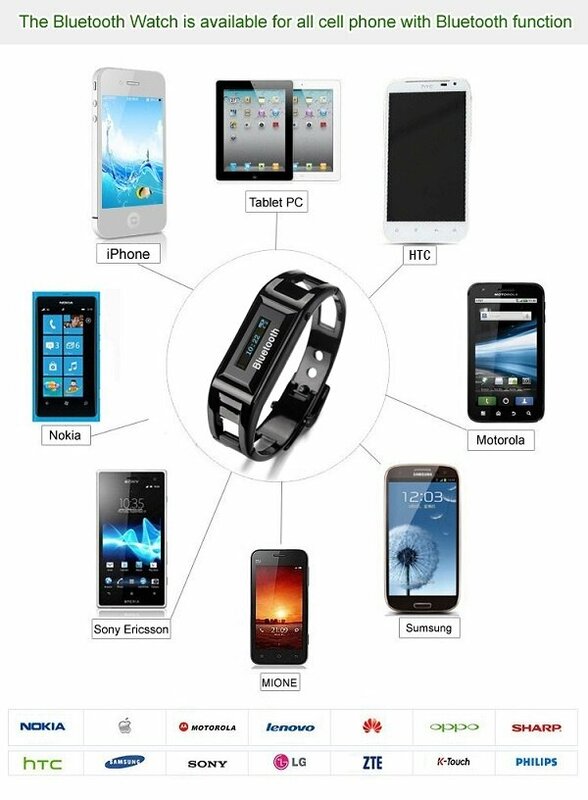 display . 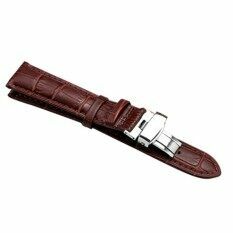 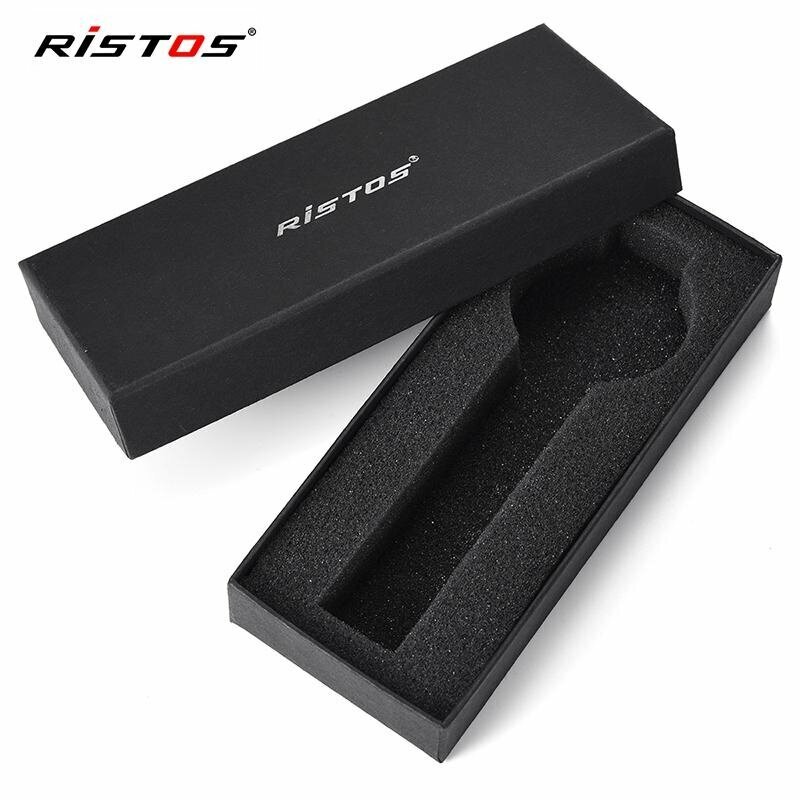 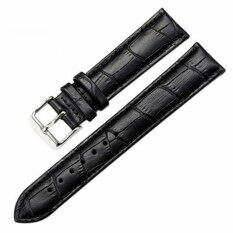 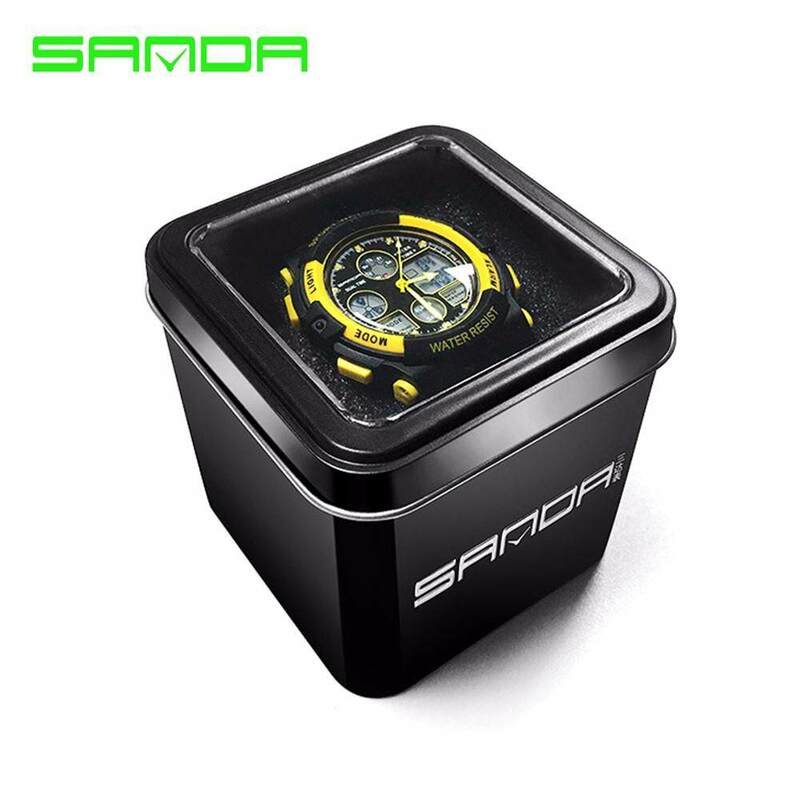 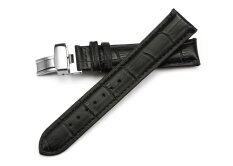 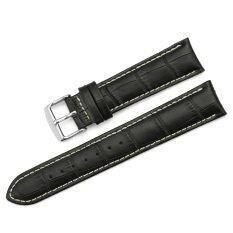 Specifications: Watchcase: Made by Marten site chromium steel, with 99%perfect curve figure, the frosted sliding surface with sophisticated bifilar sides, reached the top of delicate. 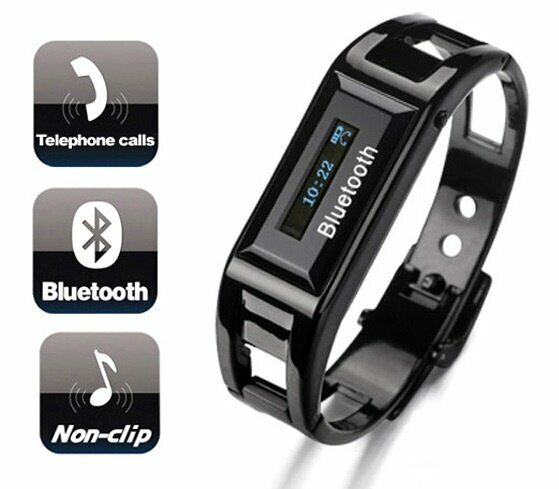 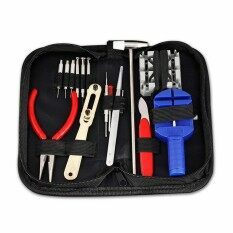 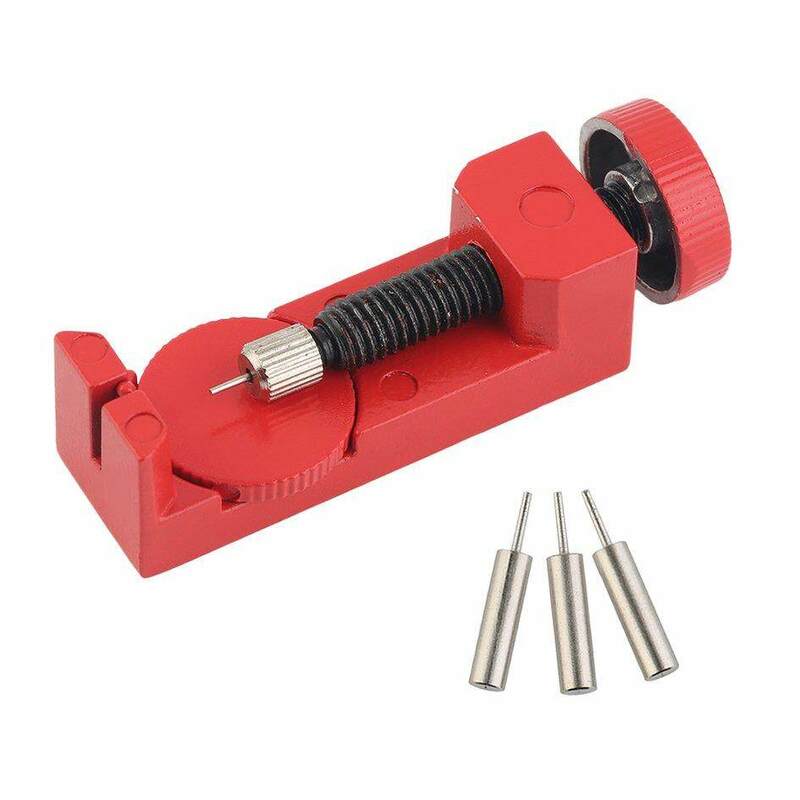 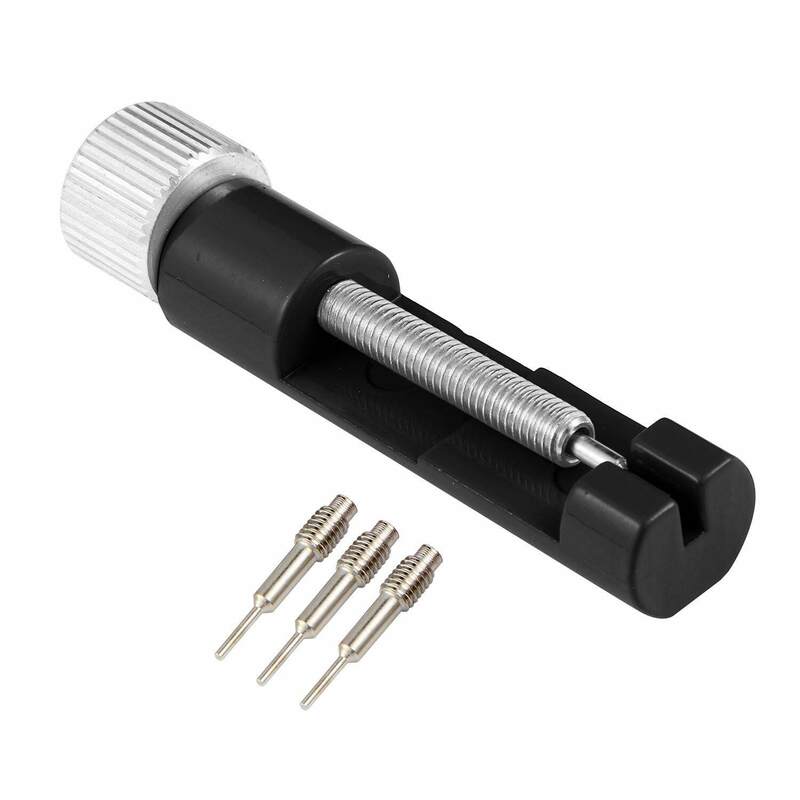 Movement: Adopt semiconductor crystal oscillator, provide accurate signal to watch system. 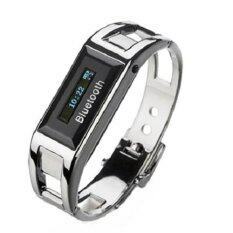 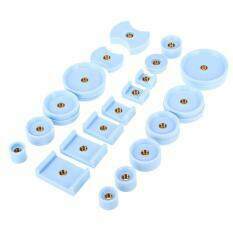 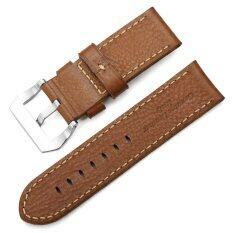 Function: Accurate time display, incoming call reminder, anti-theft alarm. 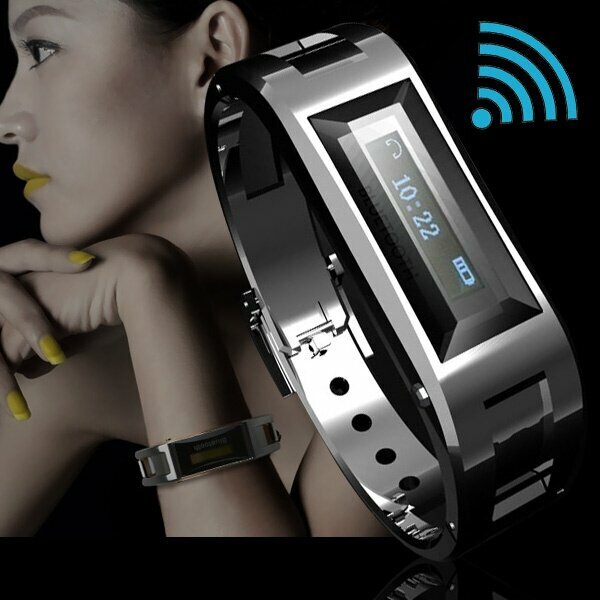 Display: Fashionable and beautiful OLED display, can normally display in outdoor strong light.